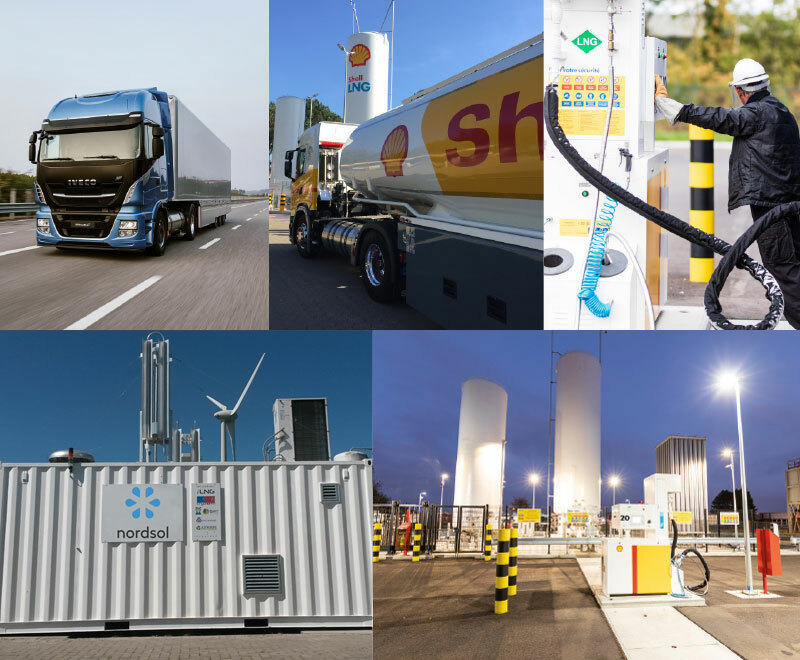 Shell will build a pan-European network of 39 LNG refueling sites in Poland, Germany, Netherlands, Belgium, France and Spain (with DISA). 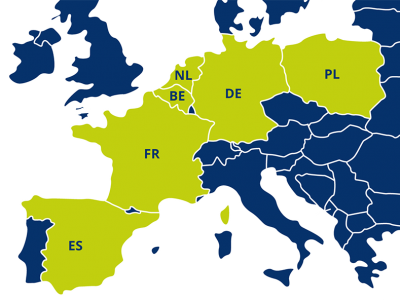 These fueling points will be deployed on existing diesel sites, on or near key locations on main TransEuropean Transport Network (TEN-T core network) nodes and corridors (from the Atlantic to the North Sea-Baltic corridors). This will provide an LNG fueling site approximately every 400 km. Nordsol will build an economically viable BioLNG production facility in the Netherlands, which will produce BioLNG using biogas from organic waste and will blend this BioLNG into customers fuel in the EU. Liquified Biomethane (BioLNG) is practically CO2 neutral due to the use of industrial organic waste as a resource. 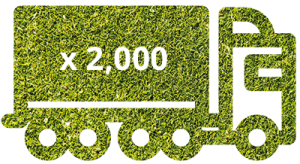 BioLNG has all the advantages of LNG versus diesel, including reduced CO2 emission, lower engine sound, lower NOx and significantly less pm (particulate matter) emission. With the Nordsol BioLNG solution, the function of biogas is upgraded to the next level of decarbonization, supporting a more environmentally friendly form of LNG along with a reduction of our carbon footprint. It will help to reduce well-to-wheel greenhouse gas emissions and so provide economic and environmental benefits for truck owners and operators.